← Bauer Rogue Classsic – New! Important: Please do not wear black bottom shoes. 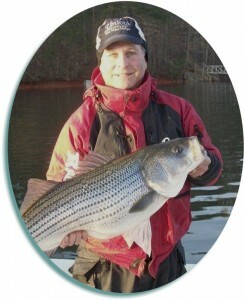 The Witching Hour Trip was created for people who love to get out on the water before or after work. 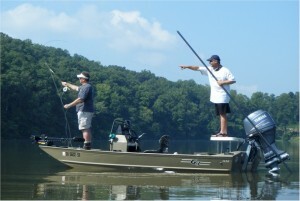 It was designed for fly or light tackle anglers to come out to fish at a time when all of the other boats are at the dock. When the sun starts to rise or set and the perfect low light is over the lake, the fish seem to feed on the surface. We will fish for about 3-4 hrs. 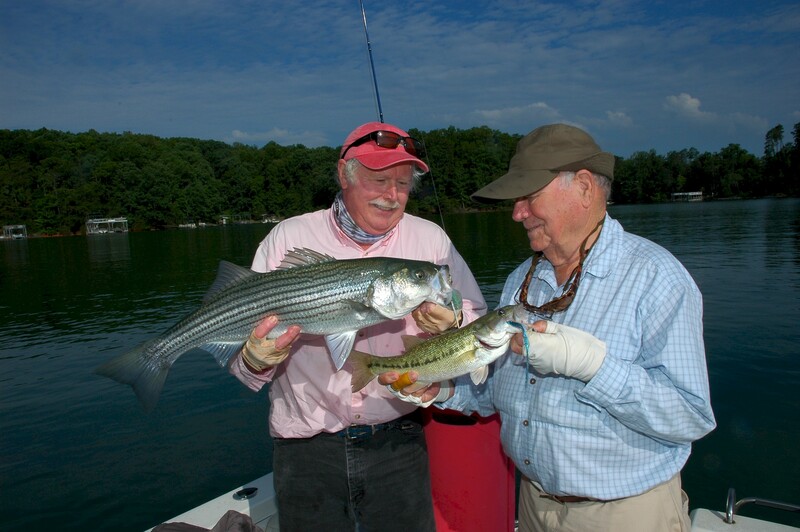 All trips that originate on Lake Allatoona are considered “witching hour trips” and will be taken on my 16 ½’ G3 boat and can only allow for 2 anglers. More importantly, our guides are all patient instructors who can help make a fantastic day on the water for anglers of all skill levels and experience. We use a 2200 Bay Ranger with a Honda 225 on our Lake Lanier trips. 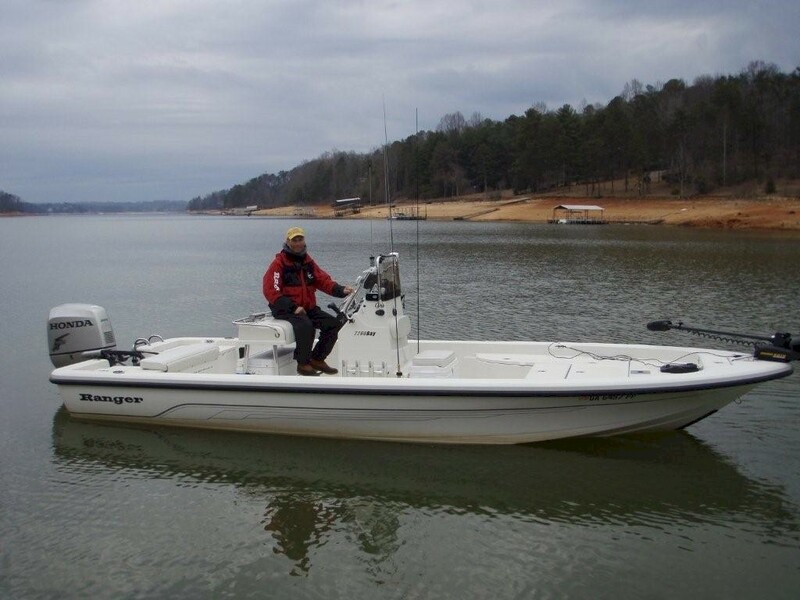 Called the “ultimate bay boat”, the 2200 Bay Ranger has quickly become known for its detailed finish, and overall versatility. At the stern, an integrated engine set-back works with a specially engineered tunnel between the hull pad and outboard for easier operation in the shallows. Combined with a low profile design, the extra wide 8′ 4 1/2″ beam delivers more comfort, less wind resistance, and an extremely dry ride. 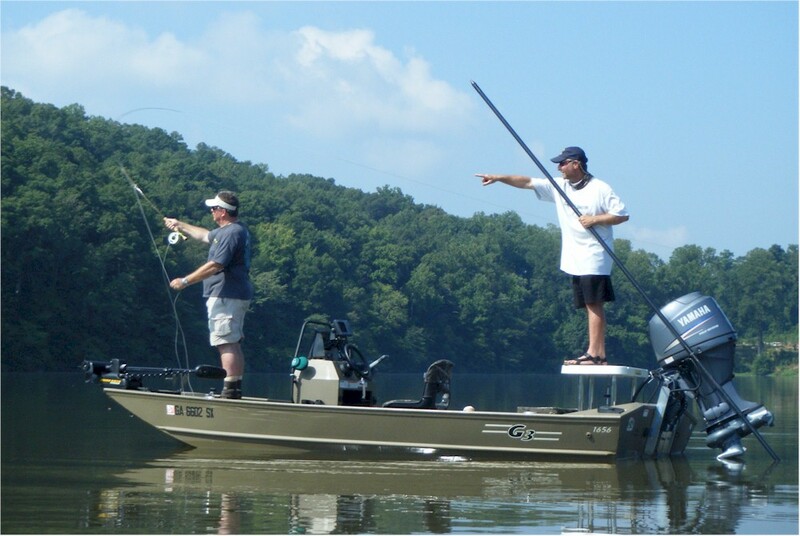 The large, unobstructed casting decks are ideal for fly fishing and the oversized gunnels deliver a 360° fishing platform. 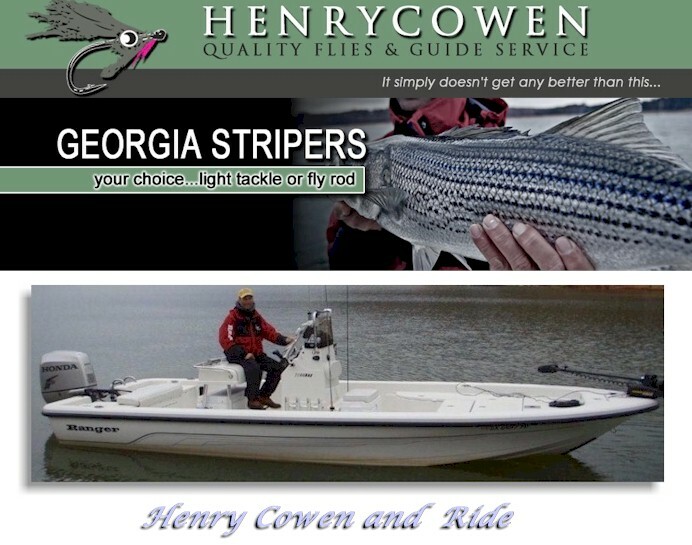 The highly maneuverable hull design also includes a raised bow for an impressively dry ride in rough water. Discover just how smooth, solid, shallow and stable a bay boat can be. 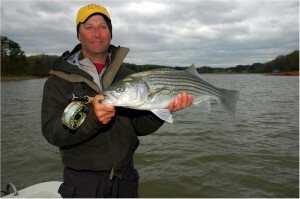 You are assured a comfortable ride and easy casting on your trips. 678-513-1934 or EMAIL to book a trip today. This entry was posted in Fly Fishing Guides, Southeast Lakes and Rivers, Southeast Warm Water. Bookmark the permalink.